28S-DMH-A13 is a ‘28S’ 4Ground model kit, ‘28S’ means this kit is highly detailed inside and outside with many pre-painted parts. 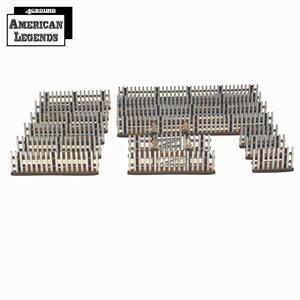 This kit includes over 52” of picket fences, these fences can be found all over the world and are used primarily as decorative fencing. They were particularly popular in the United States and have been around since there since the first Scandinavian colonists partitioned their home allotments, from there the fashion spread across America.